For the past five years, Best in the Desert has led off-road racing as the premier race series in the sport. 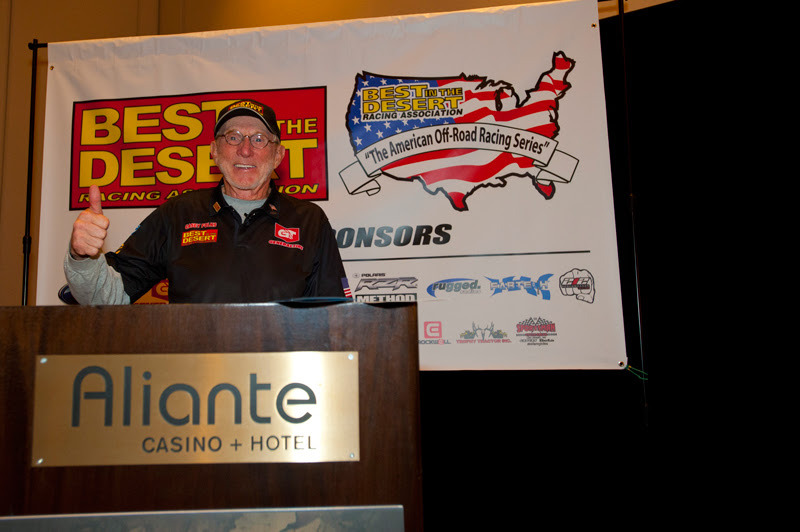 With entries growing each year, BITD has held strong to a six-race format with the addition of The Mint 400 in 2012. However, their staples in the Parker 425, Silver State 300, Vegas to Reno, Blue Water Desert Challenge and Henderson 250 have gone relatively untouched in these years. Announced today by BITD Race Director, Casey Folks, in front of hundreds of media, sponsors and industry leaders, the 2016 Best in the Desert race schedule looks everything but standard. Folks has spent years working to better not only Best in the Desert but the off-road racing community as a whole. 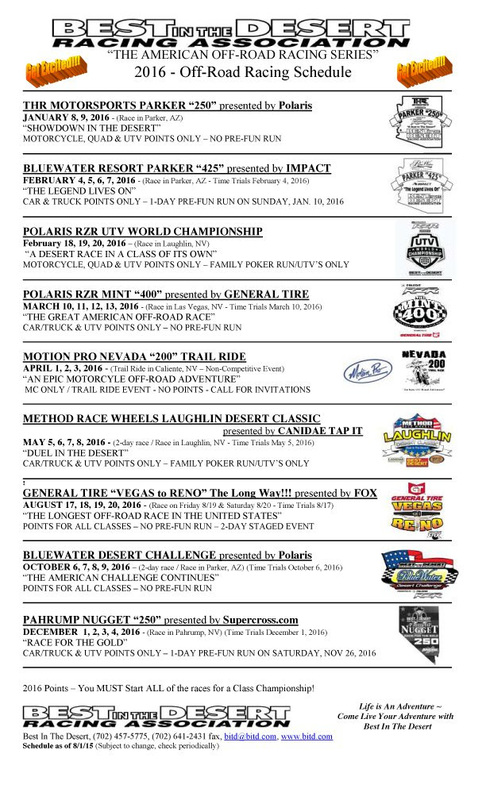 Here’s a look at the new 2016 Best in the Desert Racing Association race schedule.